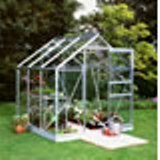 Halls Popular aluminium Greenhouse has something for every gardener and comes in four different sizes. 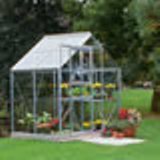 The 6' (182cm) and 8' (244cm) wide models are just right for the enthusiastic amateur and are available with integral gutters, smooth action sliding doors and a roof vent (excluding Popular 46) for constant and even ventilation. 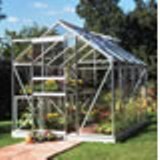 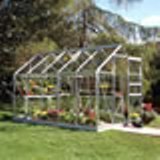 An Aluminium Greenhouse the Halls Popular is 2.57m deep by 1.93m wide. 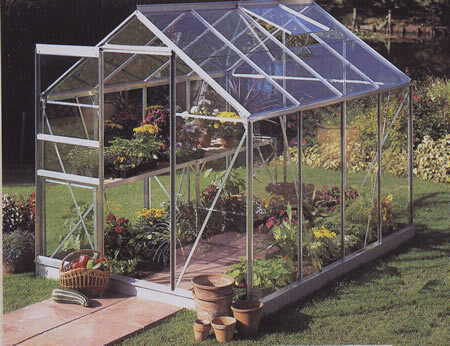 Horticultural Glazing is Standard.